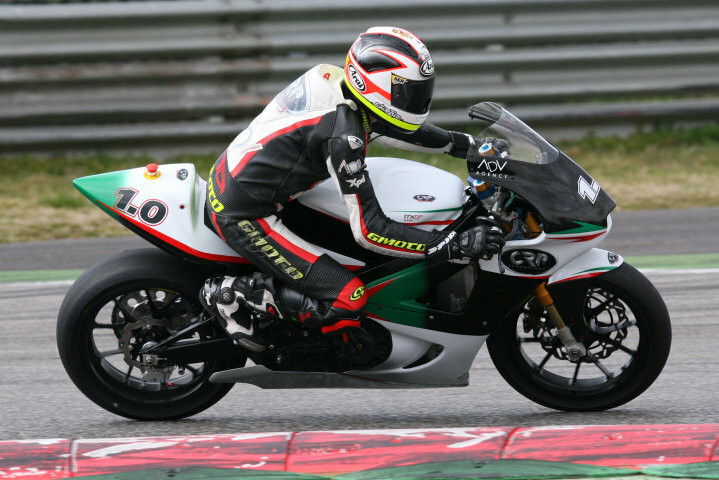 CRP Racing and their eCRP electric racing bike are looking more and more like the top contenders for the upcoming 2010 TTXGP electric moto GP. 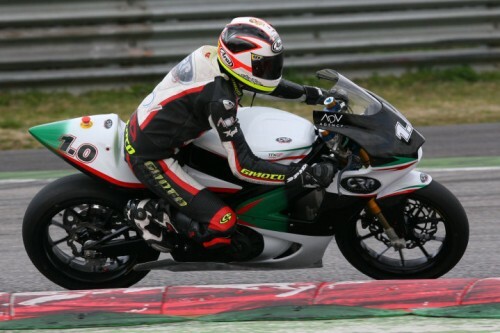 They already have the eCRP running test laps at Monza in the hands of their talented young rider Davide Stirpe from Italy, the bike has a top speed of 200 kmph, not bad at all for a 100% electric motorbike, and due to the sheer volume of time being invested in the bike it appears as though it has the speed and reliability to be a top 3 contender if not the outright champion of the 2010 racing season. 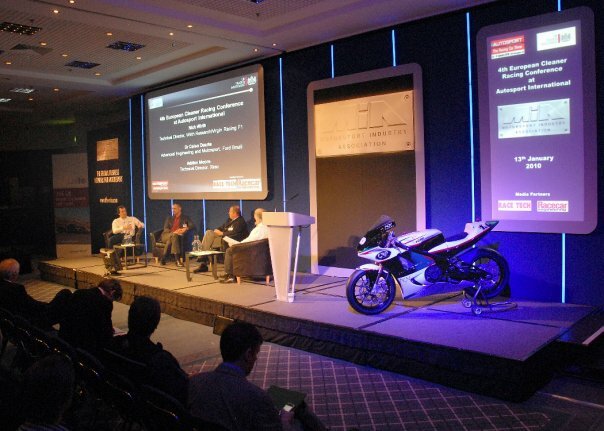 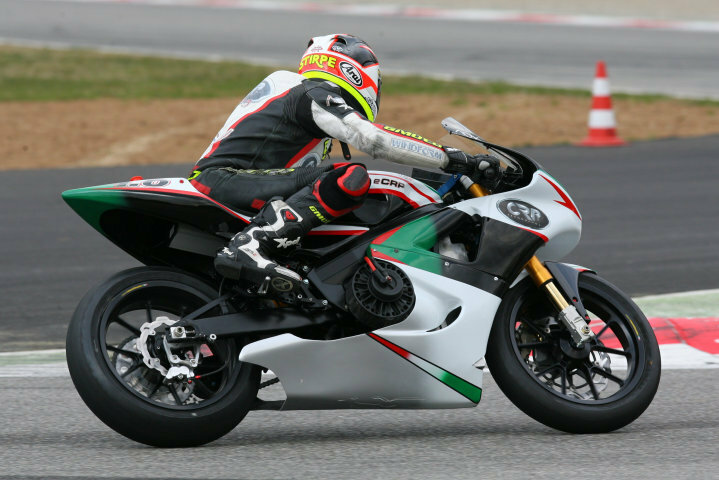 CRP Racing recently partnered with TTXGP to develop a national electric motorcycle racing series in Italy, starting this year, Italy is one of the top motorcycling nations in the world so having serious interest drummed up with a national championship can only be a good thing. 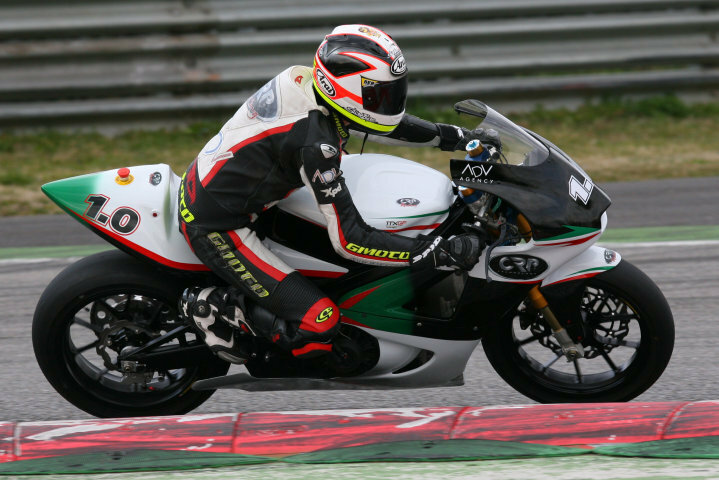 CRP Racing does sell the eCRP if you’d like to buy one, the pricing starts at 30,000 Euros so it isn’t for the faint of heart but for a racing team it does make racing at a national level quite affordable.